Sign in to your account. Click "Edit Account” in the upper right-hand corner of your screen. After clicking the link, select “Change Password” underneath the “Update Account” button. What happens if I don’t use Indiana INTERNnet after I created an account? After six months of inactivity, accounts become inactive. You can reactivate your account simply by logging in. All of Indiana INTERNnet services are free for everyone. Students can search and apply to an unlimited number of internships at no cost. Also, Indiana INTERNnet partners with the Indiana Commission for Higher Education (CHE) to facilitate its Employment Aid Readiness Network (EARN) Indiana program. EARN Indiana reimburses employers with an approved internship up to 50 percent of each eligible intern’s wage. Click here to see how to find out if you’re eligible. Yes. If you choose to receive credit for an internship, your career services office or a faculty member should be able to assist both you and your internship employer in defining appropriate parameters for receiving credit. However, internships posted on Indiana INTERNnet do not have to be for academic credit. Academic credit should not affect internship compensation. ANY major! Indiana INTERNnet is open to any and all students seeking an internship in Indiana regardless of major or interest. Positions include: accounting, advertising, business administration, communications, consulting, computer information systems, event planning, graphic design, interior decorating, marketing, management, networking, sales, sciences and MANY more! Indiana INTERNnet is a high-tech and high-touch system for students seeking internships in Indiana. The high-tech portion allows students to enter online resumes, cover letters and skills specific to the internship they are seeking. Also, students can apply to internships directly on the site. Additionally, Indiana INTERNnet offers high-touch services that enable you to receive personal assistance by calling or emailing a member of our staff. 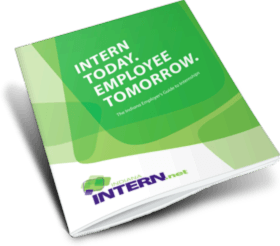 Indiana INTERNnet offers internship opportunities throughout the state of Indiana. You may search by county or region. While some companies may have out of state locations, only internships located in Indiana will be approved for posting on Indiana INTERNnet. Once you’ve found an internship you are interested in, you can apply directly on Indiana INTERNnet.Make sure you fill your profile out as completely and accurately as possible to give potential employers all the information they need to hire you. Click “Learn More” located under the internship description. Click “Apply For This Internship” located in either the gray box to the right of the posting or at the bottom of the internship posting. Write or paste a cover letter to the company you are applying to in the box provided. Upload a unique resume or select one of the resumes you’ve uploaded to your student profile. Click “Apply For This Internship” again to submit. Remember the resume(s) you’ve uploaded to your profile will be visible to employers when you apply. If the organization is interested, they will be in contact. Yes. Employers can either contact you by phone or email if you entered this information in your profile. They can also contact you through our in-site messaging system. I applied for an internship. When do I hear back from the employer? The hiring process can take weeks, so be patient. Continue to apply to other internships while you wait. Understand that some employers receive thousands of applicants for one position, so unfortunately they sometimes do not contact applicants. If you haven’t heard anything in a couple weeks, you may contact the employer and politely ask for an update. If the outcome isn’t what you were hoping for, don’t give up. Keep searching for and applying to internships on Indiana INTERNnet. I can’t find an internship. What do I do? First, make sure that you fill your profile out as completely and accurately as possible to give potential employers all the information they need to hire you. The Indiana INTERNnet system recommends internships for consideration from keyword matches in your profile and internship postings. If you do not have a resume, schedule an appointment with your guidance counselor or advisor to assist you with creating one. Be sure to select skills that you have in the “Skills” portion of your profile. Indiana INTERNnet uses the skills you select to match you with internships. Employers with internships that fit your skills might be matched to you. If they are interested, they may reach out and invite you to apply! If you still cannot find an internship that fits your needs, don’t give up! Keep checking Indiana INTERNnet because new positions are frequently added. Still not having luck? Contact us at INTERNnet@indianachamber.com, and we will be more than happy to assist you. Yes. You can change your information at any time. Edit your profile by clicking “Manage Your Profile” located in the gray box on the right side of your dashboard. Can I put a link on the web site? Yes. You can enter your personal web page URL in your profile. You may also link to your online portfolio or professional social media sites, such as LinkedIn. Can I upload samples of my work? Yes. You can do this my clicking “Manage Your Profile” and then the “Resume” tab. At the bottom of the tab, there is an option to upload various files. You can upload an unlimited number of files to showcase your work. Be sure to select the proper file type (cover letter, resume, portfolio piece or other) from the dropdown menu when you upload. How do I search for an internship? Log in to your workspace. Complete the “Advanced Internship Search” on the right side of your workspace. Select and enter search criteria of your choosing - you do not need to fill out all of the search criteria. Scroll through the lists to find a position you are interested in. To view the position description, simply click on the internship title. You may also learn more about the organization by clicking on the organization’s website link. If you would like to save your search, click “Save This Search” in the upper right-hand corner of the search results page and enter a name for the search. After saving your search, the search name will be listed under “Saved Searches” in your student dashboard. How often are new internships posted? New internships are frequently added, so it's a good idea to check the site often. You can stay on top of opportunities by opting in to receive text message alerts whenever new internships are added to your saved searches. Make sure your number is saved to your profile, click "Opt In," then complete and save an internship search. See question #20 for instructions. You will receive a maximum of one text per day. You can opt out of the text message alerts at any time by texting "Stop." What year of the FAFSA is EARN Indiana eligibility based off of?